For the first time at Fresno State, students can delve more deeply into the intricacies of autism by interacting one-on-one with autistic children. This interaction occurs at the Central California Autism Center (CCAC), located in the Kremen Education Building. It is a treatment and research facility that was developed by the Department of Psychology and provides behavior therapy for children 18 months to 6 years of age with autism or a similar disability. The aim is to improve the childrenâ€™s skills and capabilities in a range of areas, including language and social skills. Amanda Adams, Ph.D., is the director. She came to Fresno State in 2006 as an assistant professor in the psychology department after 10 years of previous experience with autism. Once only a dream, the new autism center needed management. Thatâ€™s when the department hired Adams. â€œAs the director, I oversee the overall treatment integrity and clinical progress for all of the children, as well as train all of the students,â€ Adams said. On Jan. 28, the center began moving from the Science II Building to its current location at the Kremen Education Building. Now open, the new facility provides more space, allowing up to five more children to enroll in the program in addition to the 10 that already are. Adams is optimistic about the continued growth of the program. â€œHopefully, it will be a self-sustaining center in the near future,â€ she said. Undergraduate and graduate students that are enrolled at Fresno State are responsible for all of the therapy and supervision of the children, under Adamsâ€™direction. They conduct research that they hope will lead to better lives for autistic children and ultimately gain the skills they need to go out into the world after graduating. â€œI wanted to provide students with this experience so that it is easier for them to get a job in the field later on. There are many opportunities out there,â€ Adams said. Jeanne Lee, a senior majoring in psychology, is a therapist at the center. After taking one of Adamsâ€™ psychology courses, she decided to work at the center and has found it rewarding on many levels. 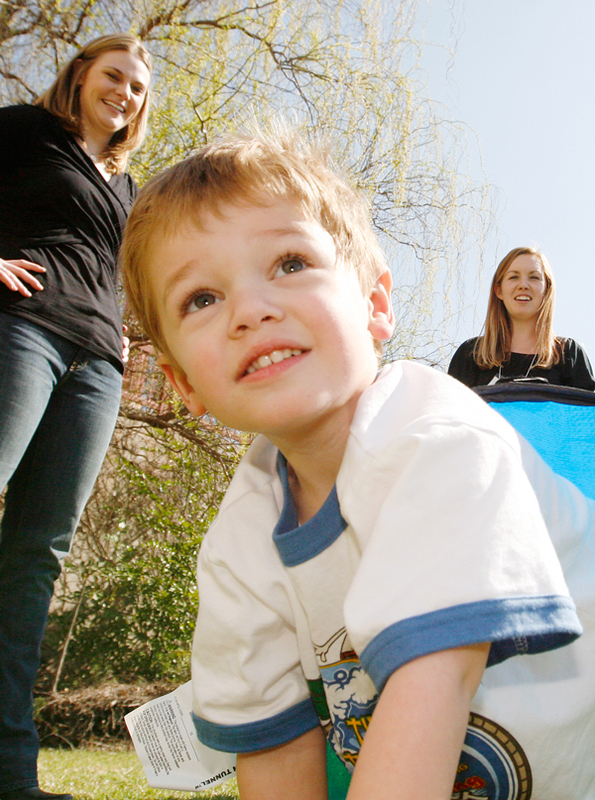 Christy Sweeney is the mother of a 6-year-old boy, Kurtis, who receives therapy at the center. She first heard about it from her brother, who is a professor at Fresno State. She moved here from Los Angeles to take her son to the center. Although she wasnâ€™t very hopeful at first, she was pleasantly surprised at the care that Kurtis has received. â€œI am happier than I ever thought. The students have passion and excitement. I was concerned with how they would do, but they have been great. I wouldnâ€™t want it any other way,â€ Sweeney said in a phone interview with The Collegian. Since her son has been going to the center, Sweeney has seen a significant improvement in him. â€œHe has become more engaged and aware. He is learning better and has an easier time connecting with people,â€ she said. Her ultimate wish for her son is that he be able to read, write and become a functional member of society.